I am sorry. The reason that I haven't been posting regularly is due to some health issues that I have been dealing with. I have been trying out the teas every day though. Today was our first adventure in the land of White Teas. 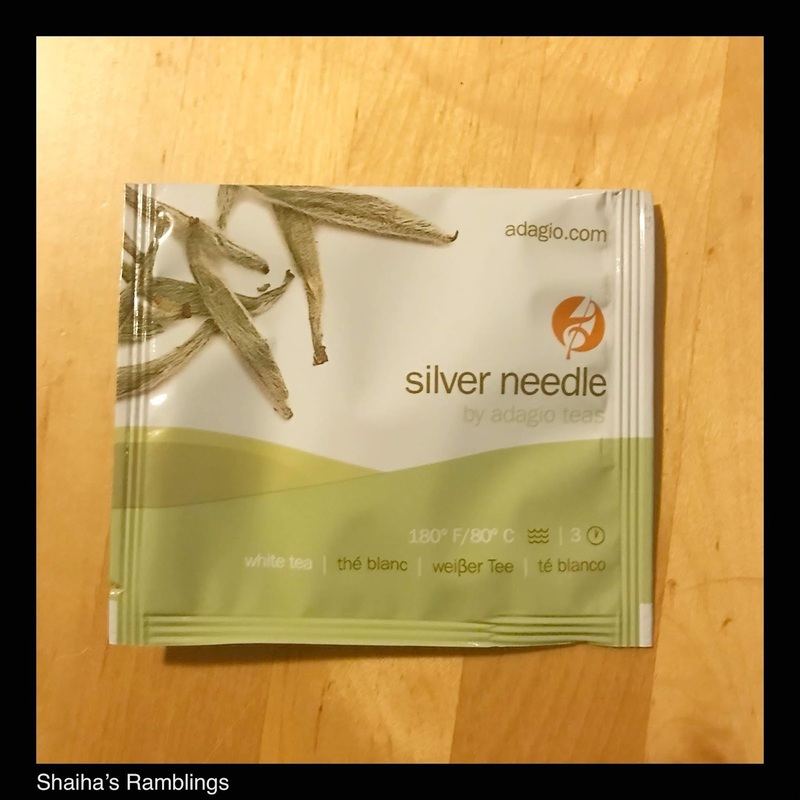 Silver Needle is one of the more well known white teas. This is an early spring tea which is known for its delicacy. Perhaps due to this delicacy, it is almost impossible to find a decent silver needle in a bag. I am happy to say that quest is over. This tea has a light floral aroma with a hint of peaches which carries into the flavor itself. Very smooth with a touch of natural sweetness, this is a tea to sip while contemplating your day. I will definitely be picking up some for my cabinet. 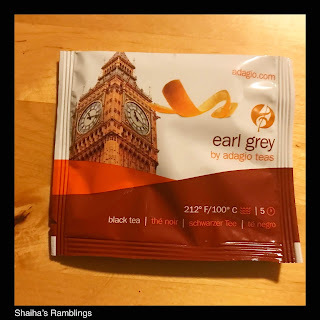 This next tea, Earl Grey, had a starring role in Star Trek. Earl Grey is distinctive with its bergamot and is one that can be really hit or miss with some people. And I happen to be one of those. Thank goodness that this particular version was a hit. The dry leaves have a strong citrusy aroma which fades somewhat as the tea steeps. The flavor is smooth and well rounded with just enough bergamot to make this cup extra refreshing. This tea definitely goes onto the short list of teas that I am considering picking up for myself. Tomorrow I will have another couple tea reviews to bring us back up to date. So how are you enjoying these reviews? I have heard from one person that they helped her decide on a holiday gift.